Geranium pratense plenum album This double white Geranium pratense is more demure and requires its own space in the garden to do it's best. 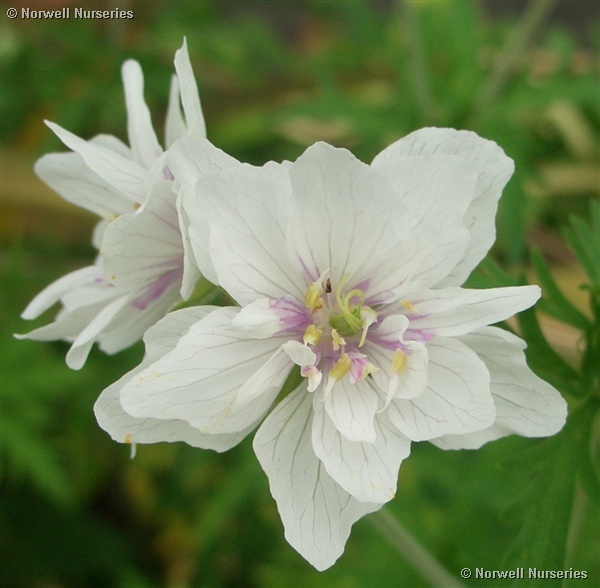 Later than most (July onwards) it has many beautiful double white flowers with a tiny purple eye. Rich soil best.